~~ Adapted from the webcomic series “My ID is Gangnam Beauty” by Gi Maeng Gi. Im Soo Hyang as Kang Mi Rae. Cha Eun Woo as Do Kyung Suk. Jo Woo Ri as Hyeon Soo Ah. Kwak Dong Yeon as Yeon Woo Young. Main Male lead- Cha Eun Woo is my most favourite new actor of they year 2019 and also one of the best idol actor for me. I will be definetly checking out his new dramas. I already watched Top Management. Female lead- It was my first time watching Im Soo Hyang and she did a wonderful job here. She easily made it to list of my favourite actresses. Soo Ah is such a hateful character, the actress did a good job. I watched teasers of this drama on YouTube just before this drama was going to start and I knew that I am going to like this drama. I started this drama while it was airing and I was really enjoying it. I was looking forward to every new episodes. While waiting for this drama, I also read the manga/webtoon this was based on. Check my post here. 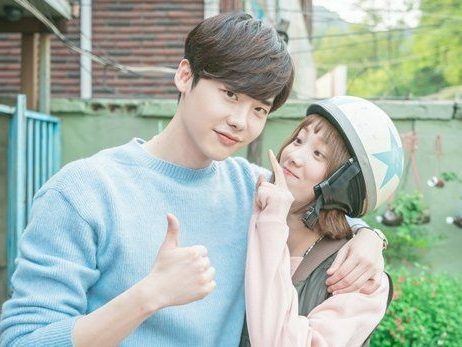 While watching last two episodes I felt that they should have given more or at least much-needed attention to second leads and given them proper endings but all focus was on the main couple. It’s sad that many people who are watching this drama now are not enjoying it. While it was on air, it received a lot of love. I will definetly re-watch it and this is among my most favorite dramas of all time. My rating- 9/10 (I love it.) Highly Recommended. Let me know your thoughts on this drama. I want to watch this drama so bad. It was next on my list when DF unexpectedly closed. I hope it gets licensed on Viki soon. I have mentioned the viki link but it’s not available in my region. You can try dramanice or kissasian. Okay, I saw that it’s available on Netflix. Will watch it on the upcoming weekend. Previous Kdramas- Voice 1 & 2 | Info & Review | Which one is better?